Our front coil springs are manufactured in the UK out of the highest quality spring steel wire. 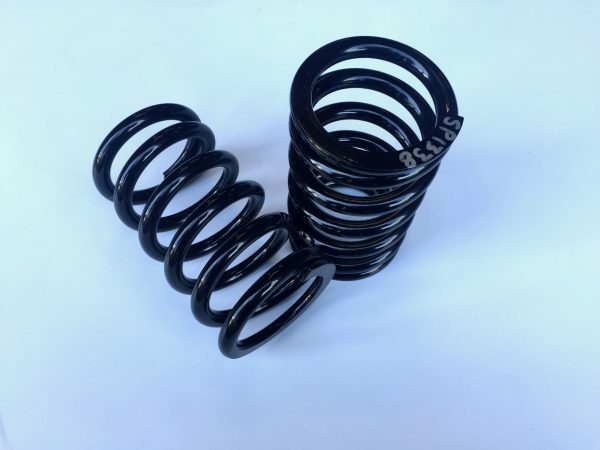 Developed for competition use the PME 500lb 71/4″ free length front springs are designed to stiffen the front suspension to help with high speed cornering. The 71/4″ free length spring will lower a Midget or Sprite by 11/2″.